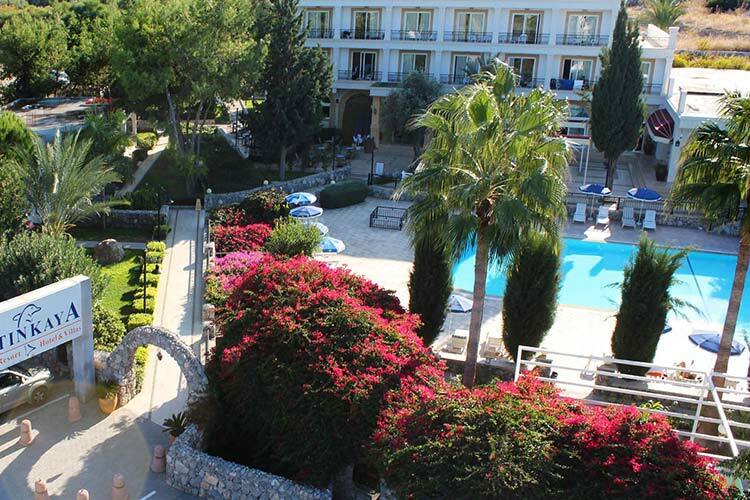 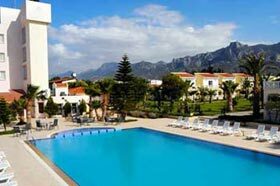 The Altinkaya resort is a family run holiday complex, positioned conveniently close to Kyrenia on the road to Bellapais. 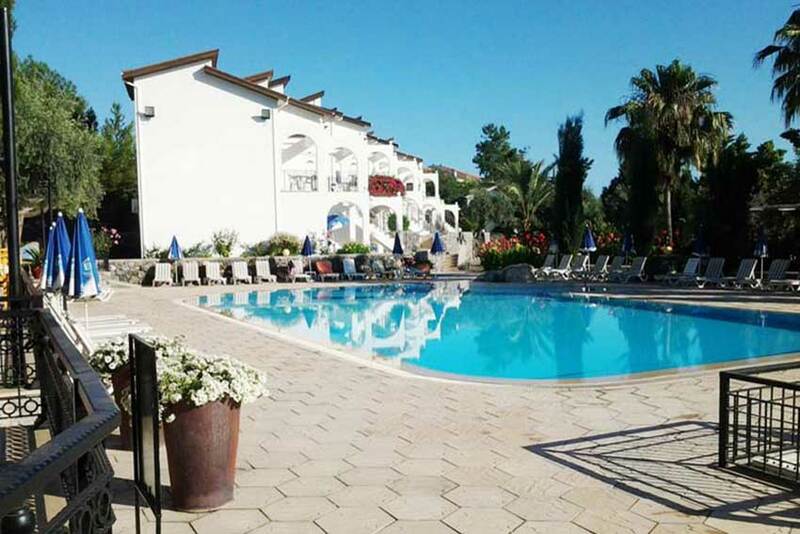 The Altinkaya is comprised of hotel rooms, studio apartments and bungalows making it the perfect venue for couples or families, and with the added advantage of providing tea and coffee making facilities, it represents excellent value for money. 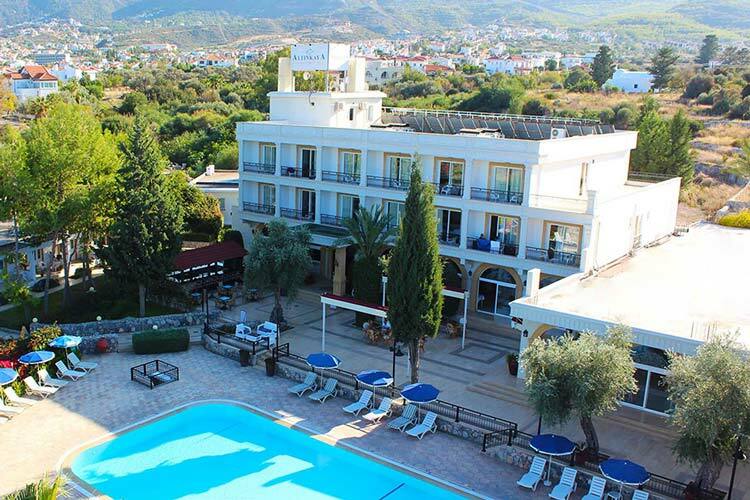 There are two outdoor swimming pools, one surrounded by the bungalow accommodation and the other close to the hotel and studios. 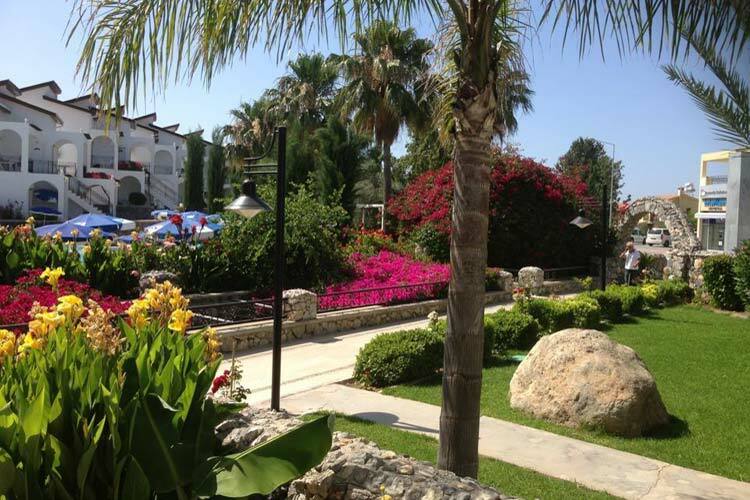 The gardens are well tended and colourful all year round and it is ideally situated for those who want to be within walking distance of the main town with all its shopping amenities. 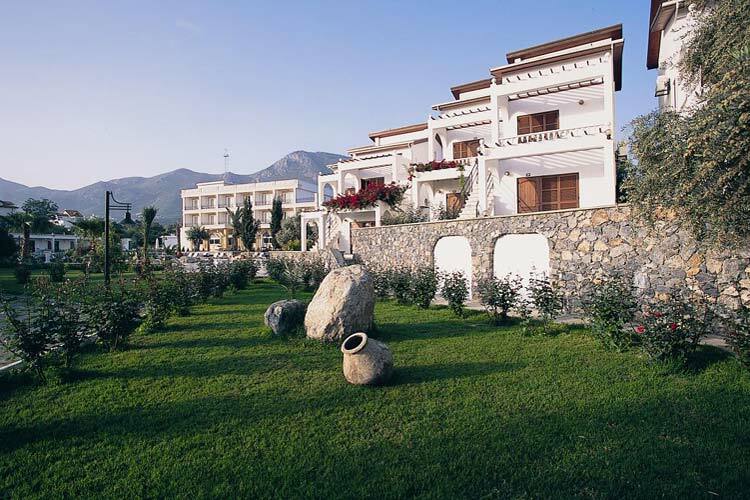 Ideally suited to our clients who want to be close to the town and yet have a taste of the country, the Altinkaya is close to the beautiful village of Bellapais and a convenient base from which to make voyages of discovery to the many local historical attractions. 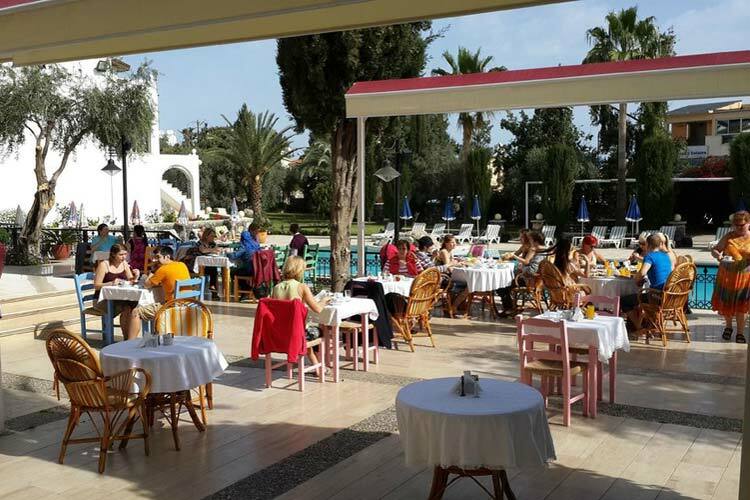 The resort has an excellent restaurant specialising in local cuisine with pool side barbecues in the summer season. 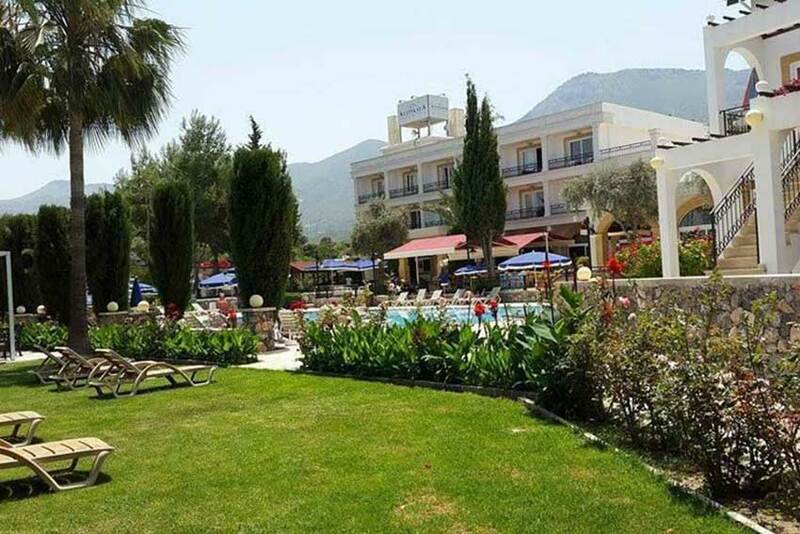 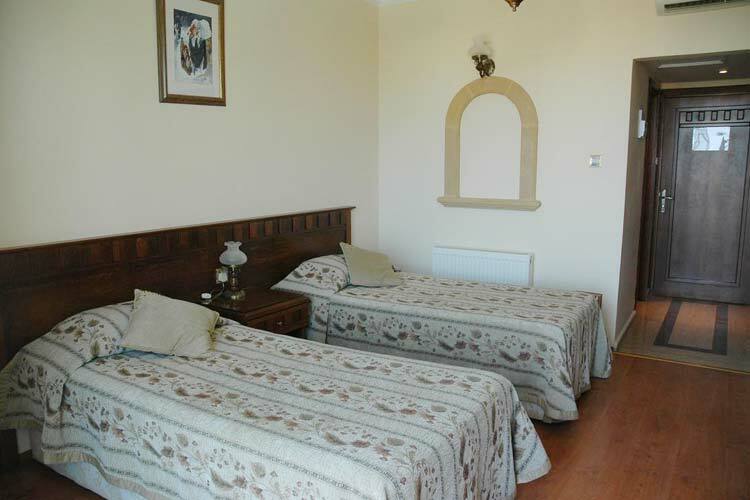 Altinkaya Holiday Village offers bungalows and hotel rooms as accommodation. 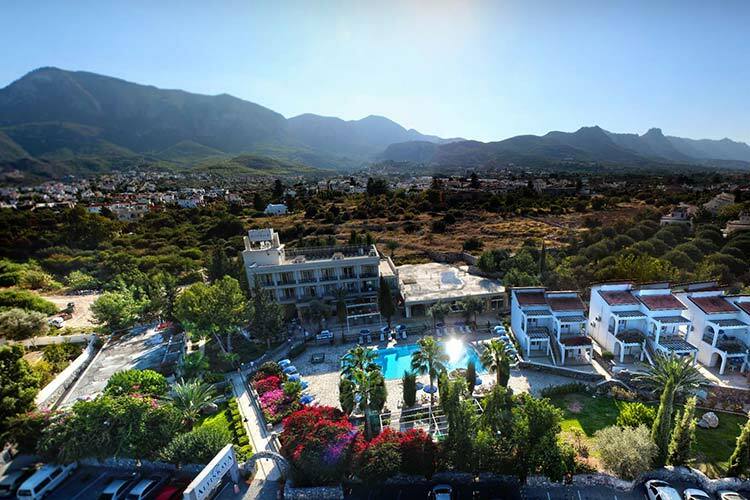 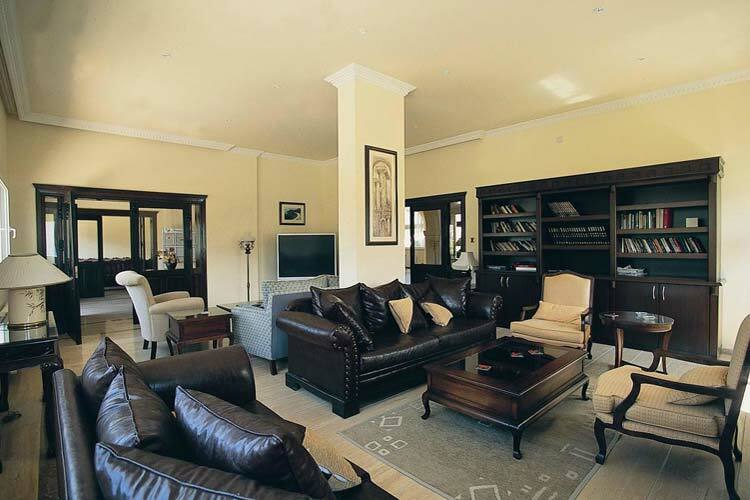 In room facilities include tea and coffee making facilities, fridge or mini-bar, satellite TV, direct line telephone, safe box, bath / shower, split unit AC and balcony or terrace. 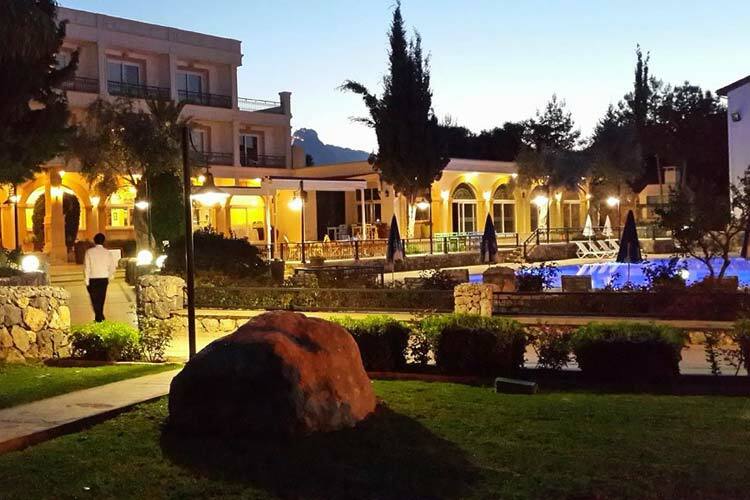 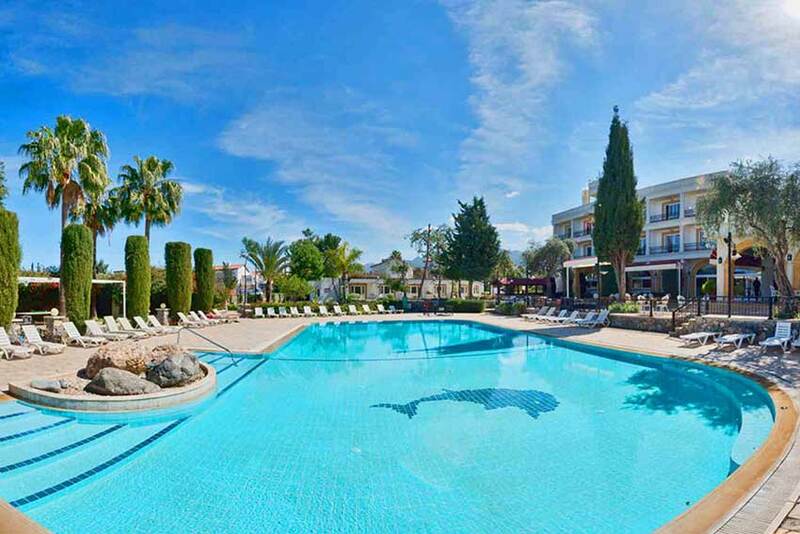 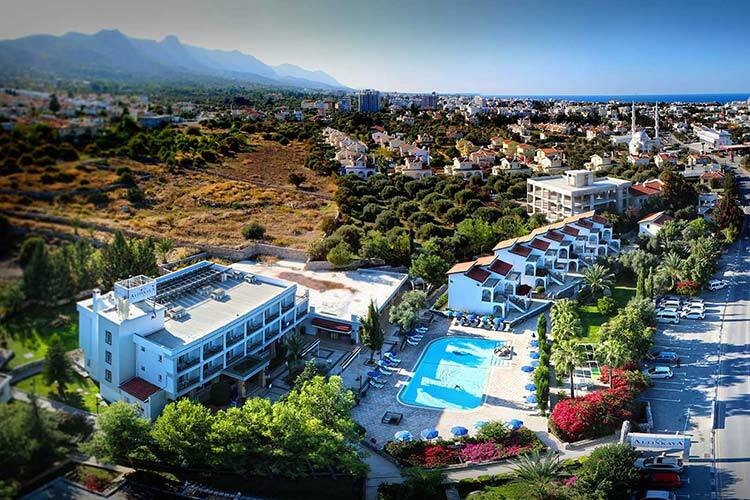 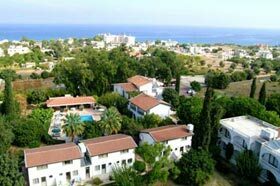 Altinkaya Holiday Resort is located between Bellapais Village and Kyrenia road, 1 km east of Kyrenia, North Cyprus. 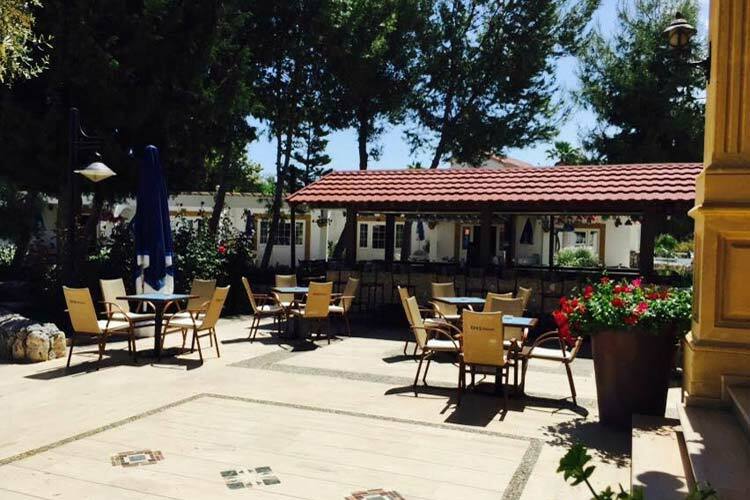 The relaxed and tranquil location is one of the attractions of the complex.